Lyonchhen Tshering Tobgay, Lyonpo Norbu Wangchuk and delegation paid a courtesy call on H.E. Keshari Nath Tripathi, Governor of West Bengal at the Raj Bhavan in Kolkata this afternoon. 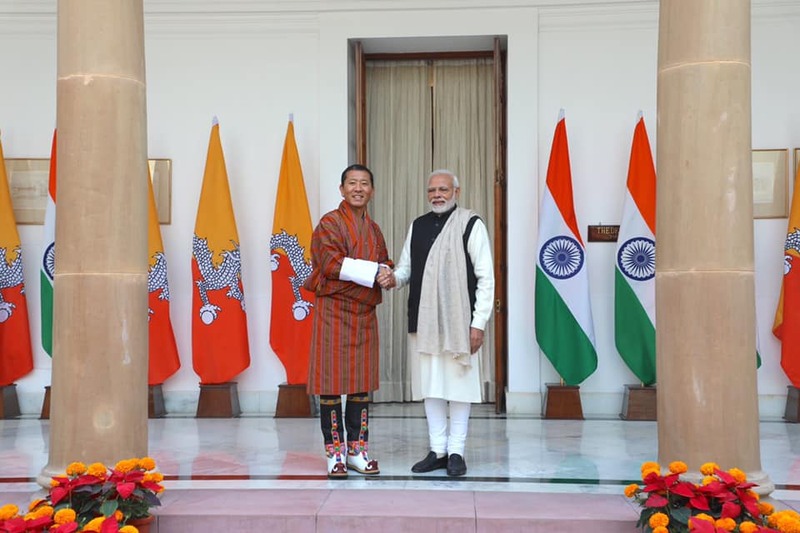 The leaders commended Bhutan and India’s exemplary relationship and bilateral cooperation, which has proved to be greatly beneficial in promoting economic and commercial ventures between the two countries. 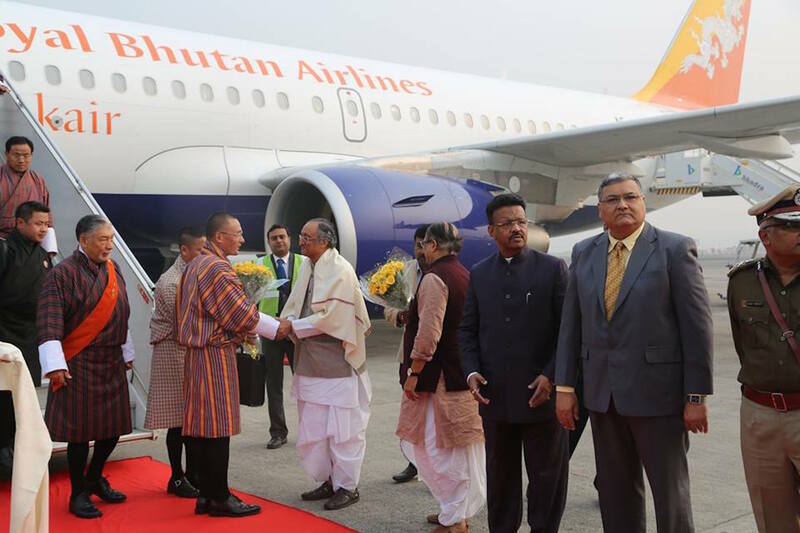 Lyonchhen Tshering Tobgay accompanied by Lyonpo Norbu Wangchuk and senior officials from RGoB are in West Bengal’s capital city, Kolkata today. The Prime Minister will attend the inaugural session of ‘Bengal Global Business Summit 2016′ on January 8 and deliver a keynote address during the event. Hon’ble Minister, Ngeema Sangay Tshempo, Ministry of Labour and Human Resources meets with Hon’ble Minister Shri Pratap Rudy, Ministry for Skills Development & Entrepreneurship and Hon’ble Minister Shri Bandaru Dattareya, Ministry of Labour and Employment, India on 21st and 22nd December, 2015. During the meetings, the Hon’ble Ministers discussed on the training of TTI instructors in reputed institutes in India and collaboration between the TTIs and Technical Training Institutes in India, and also on issues related to Labour Administration. Lyonpo Ngeema Sangay Tshempo was accompanied by officials from MoLHR.